Push the armrest rearward with your palm. 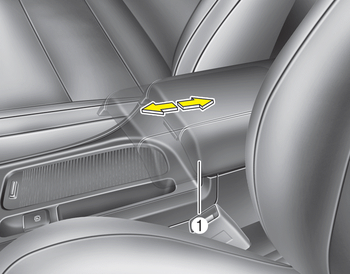 Do not grab the front portion of the armrest (1) when moving the armrest rearward. It may pinch your fingers.